The importance of ‘earned’ media as a form of engaging with consumers has increased significantly in recent years, with word of mouth and online consumer reviews ranked by consumers in Asia Pacific as the most-trusted form of media or advertising, according to a recent study undertaken by Nielsen, a leading global provider of information and insights into what consumers watch and buy. 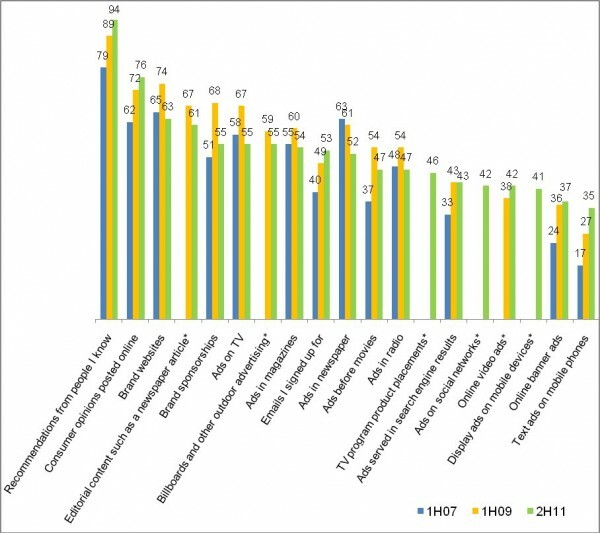 The Nielsen online study into consumers’ level of trust in various forms of media and advertising and the relevance of information contained in media and advertising, found that 94 percent of Asia Pacific consumers trust earned media, such as word of mouth and recommendations from friends and family, above all other forms of media and advertising. Consumer opinions posted online is the second most trusted form of media and advertising, with more than three quarters (76%) of Asia Pacific consumers indicating they trust this the experiences of others’ shared online. Significantly, consumers’ trust in both word of mouth and online consumer reviews has increased exponentially in recent years, with word of mouth up 15 points in the second half of 2011 compared to the first half of 2007, and online consumer reviews up 14 points over the same period. 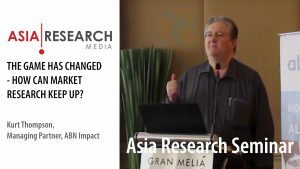 Television, which enjoys the lion’s share of advertising expenditure in the Asia Pacific region, ranks as the most trusted form of ‘paid’ advertising for consumers in Asia Pacific, with 55 percent indicating they trust ad messages delivered via TV. This was followed by other paid ads including magazines (54%) newspapers (52%), cinema ads (47%) and ads on the radio (47%). 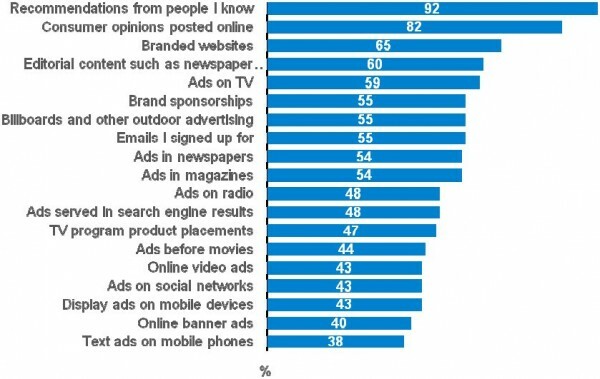 Although paid advertising on new media platforms, such as ads on social networking sites, text ads on mobile phones and online banner ads, still trails traditional forms of advertising in terms of the degree to which consumers trust it, this appears to be shifting; text ads on mobile phones and online banner ads posted some of the highest gains in consumers’ trust levels since 2007, up 18 points and 13 points respectively. 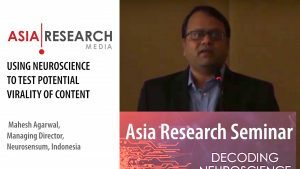 Amongst other forms of media and advertising, the Nielsen study found that ‘owned’ media, in particular company websites, was widely trusted by Asia Pacific online consumers (63% of consumers said they trusted branded websites). A further 53 percent of consumers in the region find content in emails they consented to receive to be credible. Interestingly, brand sponsorship resonates well with Asia Pacific consumers – 55 percent trust this form of advertising. 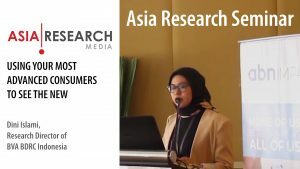 Consumers across the Asia Pacific region also regard ‘earned’ media content as the most relevant when it comes to looking for information on products and services, with information delivered via word of mouth and online consumer reviews ranking as the two most relevant forms of product information. In contrast, information delivered via ads on newer media platforms such as online video and banner ads, ads on social networks and mobile ads held less relevance to consumers than more traditional forms of advertising, a possible indicator that the messages contained in these ads is not yet hitting the mark.